✨Do you want to make your phone keyboard unique and stylish? 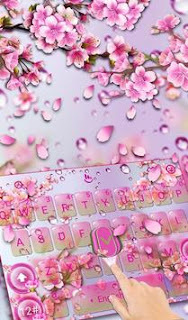 If you like sakura and spring, Pink Sakura Flower keyboard theme is suit for you! It is specially designed for Pink Sakura Flower lover. Download and enjoy this beautiful keyboard theme which is totally FREE now! A good choice for those who don’t use gesture typing or swipe typing to type faster. Most powerful error correction: auto-correct mistyping, spelling errors and capitalization automatically. Enhance next word prediction and other predictions by cloud computing. 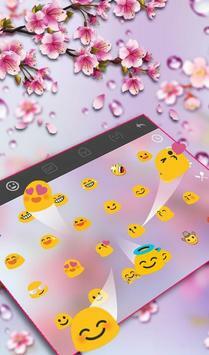 Input thousands of Emojis, Dictionaries, GIFs, Emoticons, stickers and Text face ( ͡° ͜ʖ ͡°), (ʘ‿ʘ) anywhere conveniently. Also it shows emoticons and emojis as candidate. 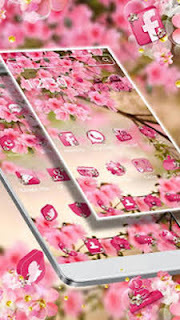 1000+ Colorful Themes available and DIY your own theme. Tap 'Theme' icon within the TouchPal logo on the toolbar, tons of fashion hot themes you can find in Theme Store. Also we have live and 3d keyboard themes which will make your device more cool! We usually update NEW themes three times a week. Please keep your attention on our Theme Store frequently. Set personal photo as keyboard themes. Customizable keyboard color, wallpaper and layout as you like. Our keyboard supports over 150 languages, multiple language input can be easily switched. Our Keyboard is compatible with most Android phones. It will make your android phone look amazing! 2) Download our keyboard from the Play Store. If you have already installed our keyboard, please click the "APPLY" button. 3) Keyboard installed and applied, keyboard theme will automatically install on the phone. Then you can enjoy the smart and smooth typing with this beautiful keyboard! If you like this keyboard, don’t forget to share it with your friends and comment below. Thank you for your supporting! 0 Response to "Pink Sakura Flower Keyboard Theme 6.9.26.2018 for Android Pro APK"